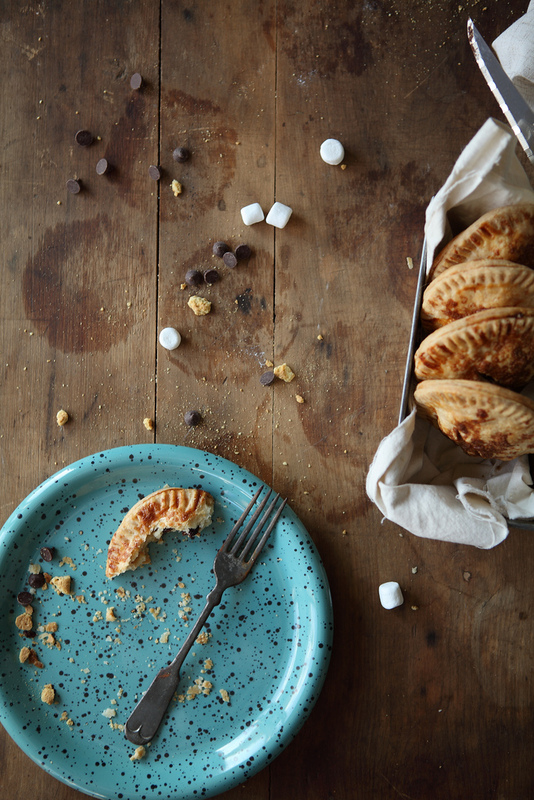 S'mores Hand Pies — always with butter. come together. Form into a disk, wrap in plastic then chill for 2 hours. Oven 350 f. Line a baking sheet with parchment paper. Roll out dough on a lightly floured surface to a 1/4 - 1/2 inch thick. dough together, chill for 20 minutes then roll out again and repeat. together. Scoop onto one circle of dough, leaving a edge. 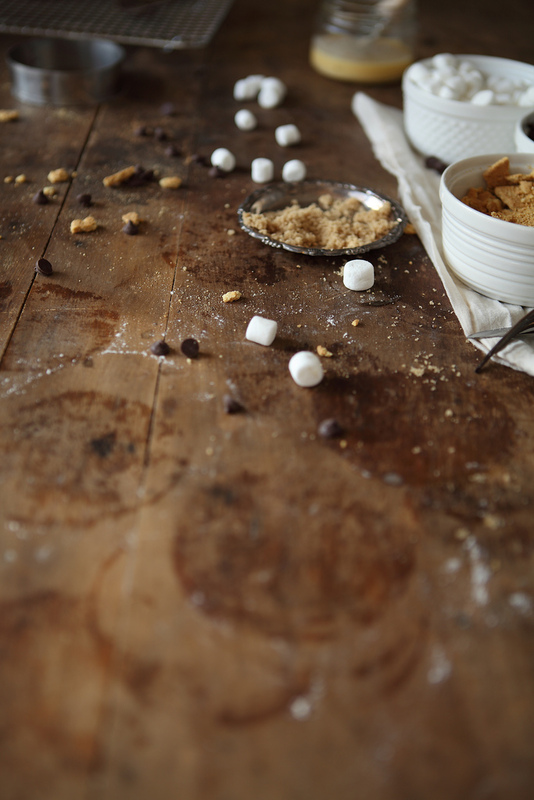 cracker crumbs on one dough. Making sure to leave a egde. 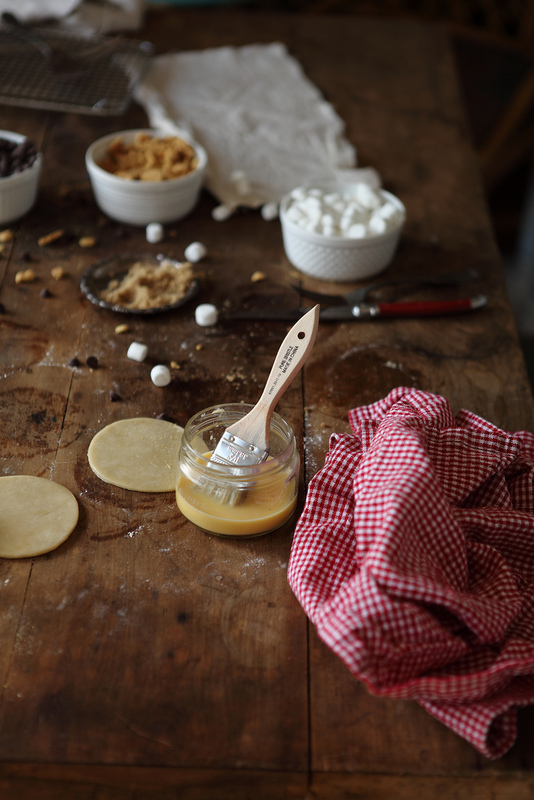 Brush the edge with the egg wash and top with a dough circle. bake for 15-25 minutes until golden brown. Let cool only slightly then eat.